Barrymore has been a Canadian tradition since 1919. 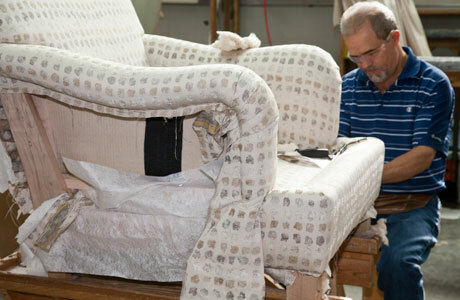 Barrymore craftsmen produce outstanding custom-made sofas, chairs, sectionals and beds in their Toronto factory. Welcome to a place where furniture isn’t manufactured. 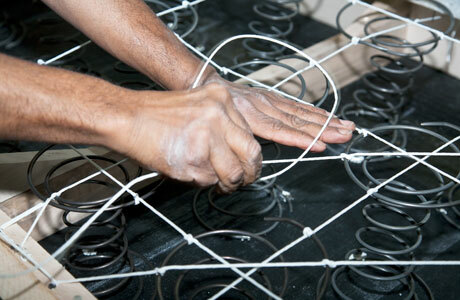 It’s made by hand, made for generations. Barrymore is committed to quality you can see: you can watch cutters, sewers and upholsterers with years of training, experience and dedication at work through the large windows in our factory. 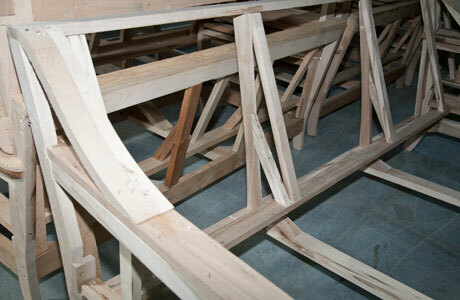 We start with a 100% Canadian kiln-dried hardwood frame – maple, oak, ash or birch. All key joints are double-dowelled as well as glued and screwed. Corner blocks are used to disperse weight equally along the base and side. Try lifting a Barrymore sofa and you’ll see the difference. The Seat Cushions. Barrymore Signature Seating uses convoluted foam with 2.2 lbs density. Each foam core is pre-stressed and covered with a luxurious envelope of high-loft polyester fibre. This seating construction – perfected over several decades – provides an ideal combination of support, durability, and softness.